No one knows the rigors of life in the military as well as the men and women who serve. And no one knows better than they do just how challenging it is to balance career and family duties with academic pursuits. Three military veterans share their words of wisdom on how to meet the challenge of earning a degree online while actively serving your country. We're not here to tell you that Oregon State Ecampus makes it all possible. We'll let our military student veterans do that instead. 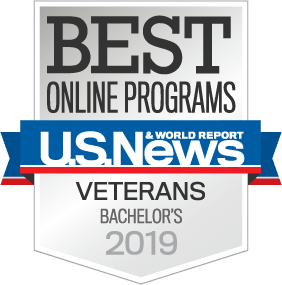 The flexibility of online learning and the instruction of OSU’s outstanding faculty allow military members to pursue their educational goals no matter where in the world they are located. Read inspiring stories about active duty service members, military veterans and military spouses who completed their degrees online with Oregon State Ecampus. We have students from all branches of the Armed Forces who are currently deployed or stationed around the world taking OSU classes online.